One of my abiding memories of my Grandad, who passed away before my seventh birthday, was the sweet fuzzy aroma of tobacco that accompanied him. 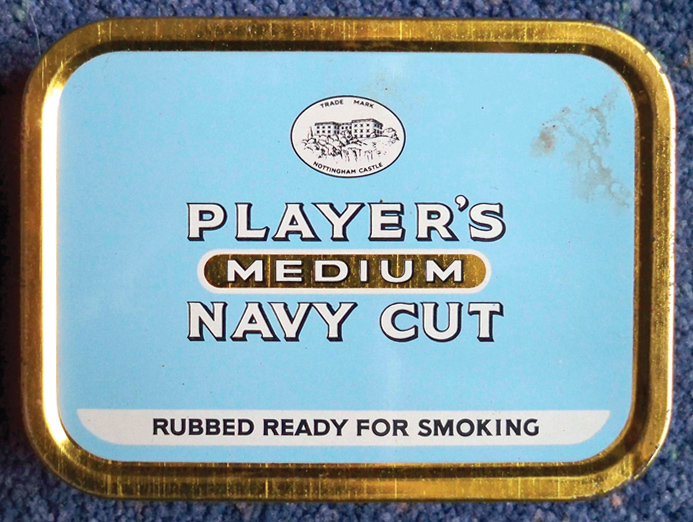 He was an habitual pipe smoker, always fiddling around with his baccy which he bought in containers which were rather like a small tin lunchbox. For years after these were bequeathed to my primary school and children kept their crayons in them. They still carried the rich mellow odours of ready-rubbed. It was a nice way to remind me of him and few of the tins are still knocking around the house to this day. Of course I never gave a thought to the fact that his injuries on one of the first days of the Somme and other First World War experiences coloured his life. Just another grumpy old man with a funny smell. Frederick George Hayter, born in 1890 was a tobacconist and his name is on two local war memorials, St Mary’s Church in Summerstown and St Barnabas in Southfields. Here, he is accompanied by a brother, William Augustus Hayter who was killed two years before him. Fred was in the 6th Battalion of the Royal Berkshire Regiment known as ‘The Biscuit Boys’. William was in the 3rd Royal Fusiliers. 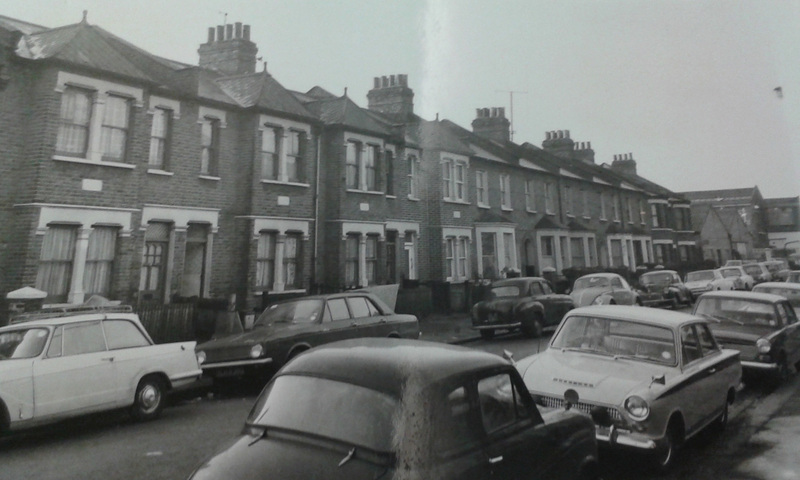 They lived very much on the fringe of the Summerstown orbit, at No15, then 13a Penwith Road, the high-kerbed artery connecting Garratt Lane with Southfields. 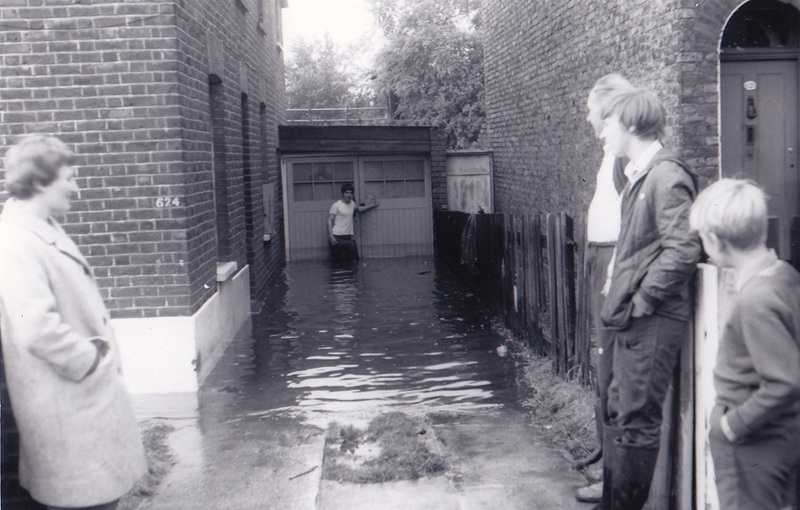 Later they moved to a five-roomed house at 111 Strathville Road, running parallel to this. Many of the houses on this road have intricately moulded arched doorways with an oakleaf motif and appear to come in a variety of pleasant pastel shades. Oddly truncated by Acuba Road, it has a calm soothing presence, always a pleasure to pass through on the way to Wandsworth via King George’s Park. It would seem from electoral rolls that the younger brothers Frank and Albert lived at No111 Strathville Road until 1959 and there was also family living at Alston Road into the seventies. The Hayter family at No111 in 1911 consisted of George, his wife Annie and their five children, four boys and a girl. 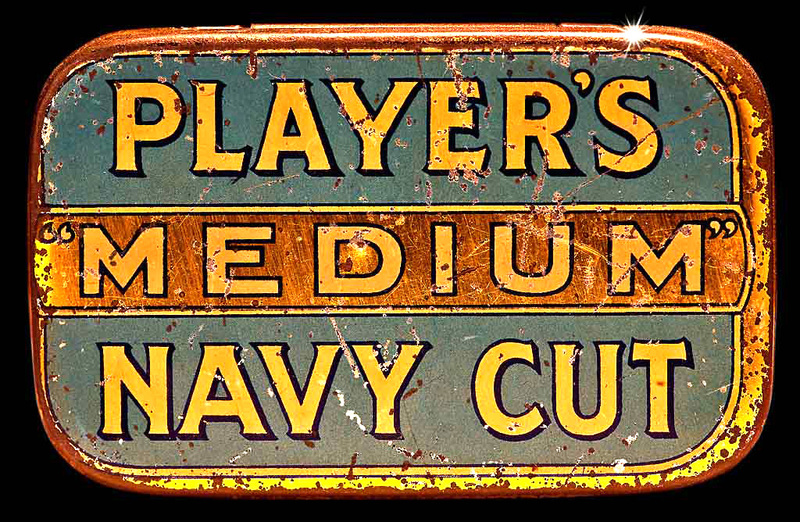 George had worked his way up from being a packer in 1891, to a tobacco trader, then a clerk in a tobacconists. The family originally lived in Maysoule Street Battersea and had they still been there sixty years later, it would have afforded them an excellent view of Sid Sporle’s tower block going up on the Winstanley estate. They weren’t so far from Benfield Street, famed for its noxious ‘stink-pipe’ sewer vents. 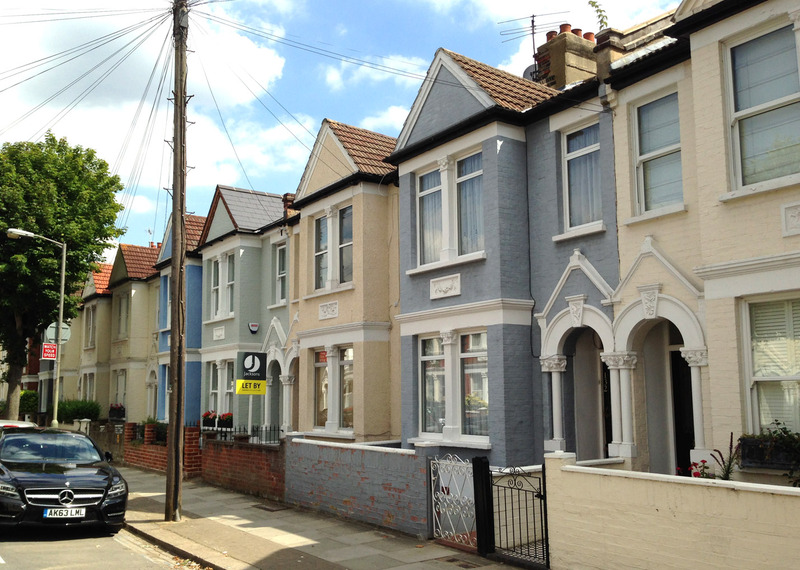 A switch to the more genteel pastel-tinted Southfields would have been a major step forward for the family. By 1911, Fred and William were the two eldest, aged 21 and 20 respectively. 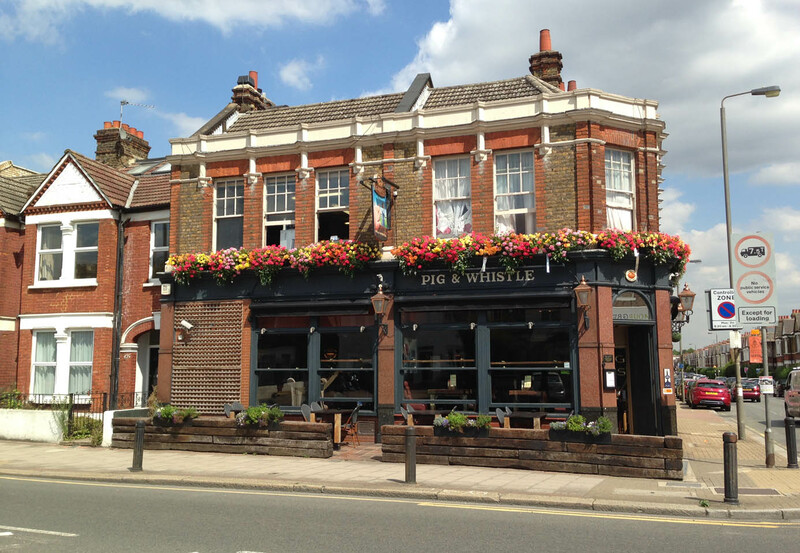 Fred was also a tobacconist and William worked as a barman. The Pig and Whistle or The Sailor Prince at the ends of Penwith Road may well have been where he pulled pints. Another son Frank was a waiter and Albert was still at school as was his sister Edith. Fred’s presence on the St Mary’s memorial is undoubtedly due to his marriage there on 31st January 1915 to Ethel May Gooude. As with Eldred Henden, this may have been a union hastened by the prospect of conscription looming on the horizon. 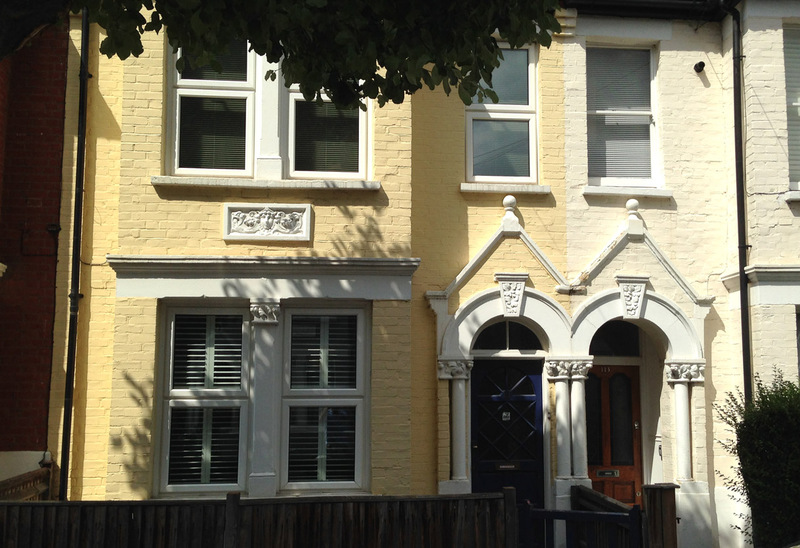 The Gooude’s were well-rooted in the area living at 41 Burmester Road and before that at 22 Maskell Road. Ethel’s father’s profession was stated as ‘Manager Manchester Warehouse’ which makes me wonder if he was connected with the nearby Anglo American Laundry. William was in the 3rd Battalion of the Royal Fusiliers and killed aged 24 in the Battle of Bellewaarde Ridge near Ypres, where his name is on the Menin Gate. 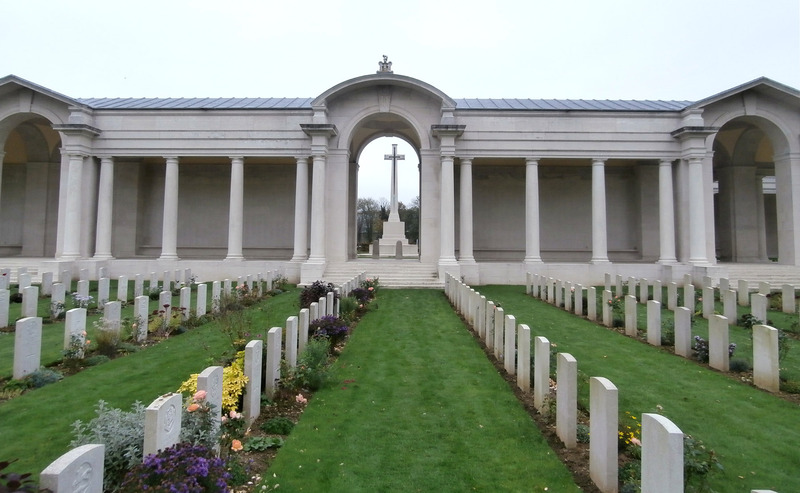 On the 21st May 1915, they had moved to the front line at Bellewaarde near to the village of Hooge on the Menin to Ypres road. This is where just over a year later, the Battle of the Somme was launched and the spot is now famous for the huge crater created that first day. The trenches were said to be in a poor condition and filled with water. 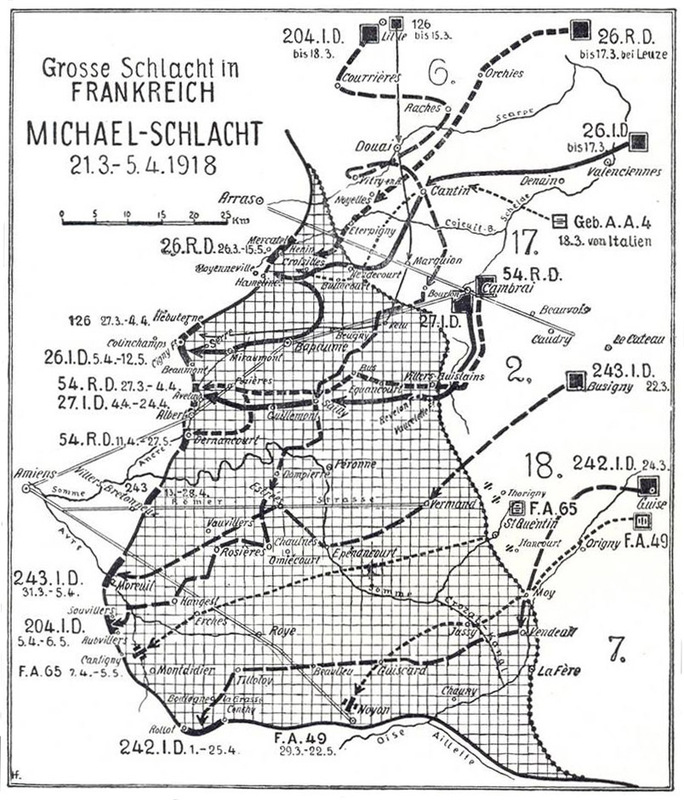 The Germans attacked the ridge at 245am on the 24th, with chlorine gas, heavy artillery and a massive infantry assault. By the 25th, the battalion was reduced to 150 men out of 880 with the rest killed, wounded or missing as a result of the two days fighting. Among those who lost their life was Private John Condon from Waterford, reputedly the youngest British soldier to die in WW1, aged 14. Quite why Fred joined the Berkshire Regiment we can’t be sure but Hayter is a popular name in the west country and his father was born in Hampshire so perhaps that was the reasoning. 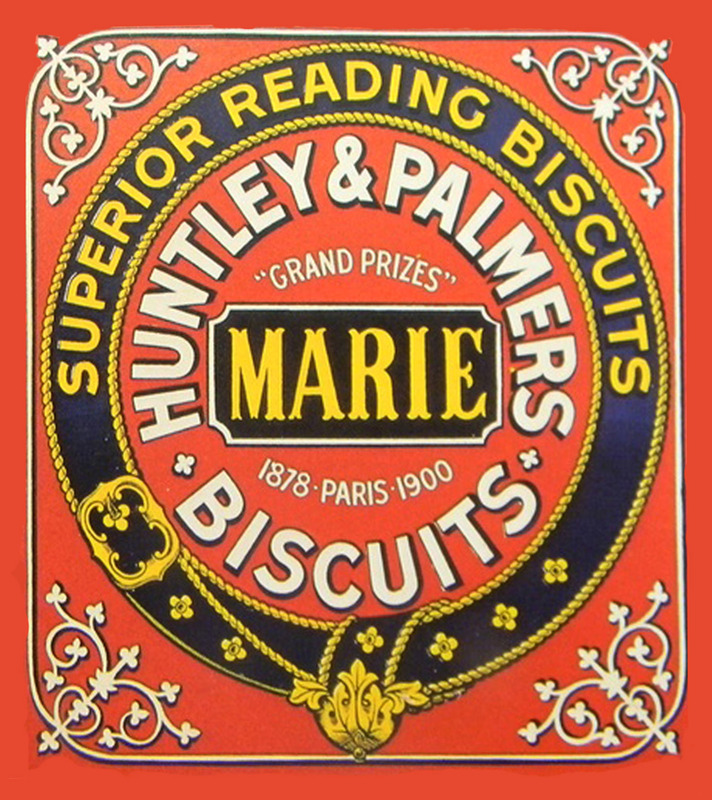 Maybe his tobacco connection had given him a love of tins and fancy packaging because he joined fellow Summerstown182 soldier Sidney Cullimore and signed up with the regiment from Reading known as ‘The Biscuit Boys’ home of Huntley & Palmer. Fred would have been 27 when he was killed on 5th June 1917 in the fighting near Arras. 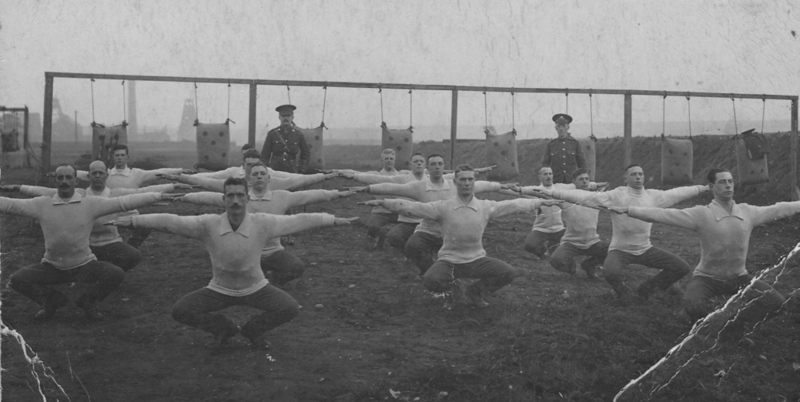 They trained at Colchester and Salisbury Plain before going to France on 26th July 1915. In 1916 they were in action on the Somme in the Battle of Albert, Delville Wood and Ancre Heights. On a visit to Arras last year we tried to find the ten Summerstown182 names among the 35,000 inscribed on the huge war memorial. His name was very high up and quite weathered and hard to read. Our Belgian mate, Bart knew what to do and instinctively splashed a carton of water over it to darken the stone and make the name more legible. Delicate Brit sensibilities might have been a bit taken aback at this apparent desecration of a place-of-rest but he knew the score and we got a photo. No harm done and we’ll keep this handy Belgian technique up our sleeve on future occasions. 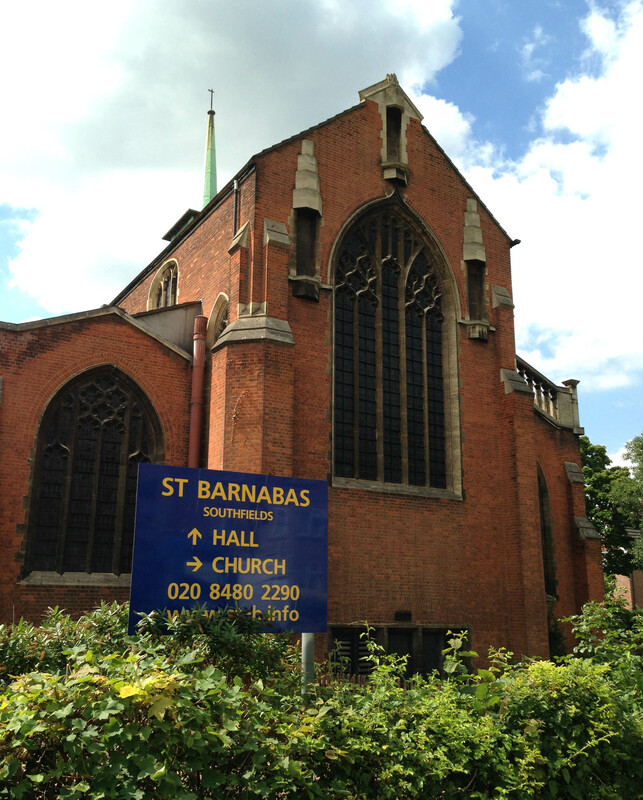 Back in London, we met up with Peter Stechman from St Barnabas Church who is doing a similar research project to ours, trying to find information on the 200 names on the First World War memorial there. The actual memorial is outside the church. 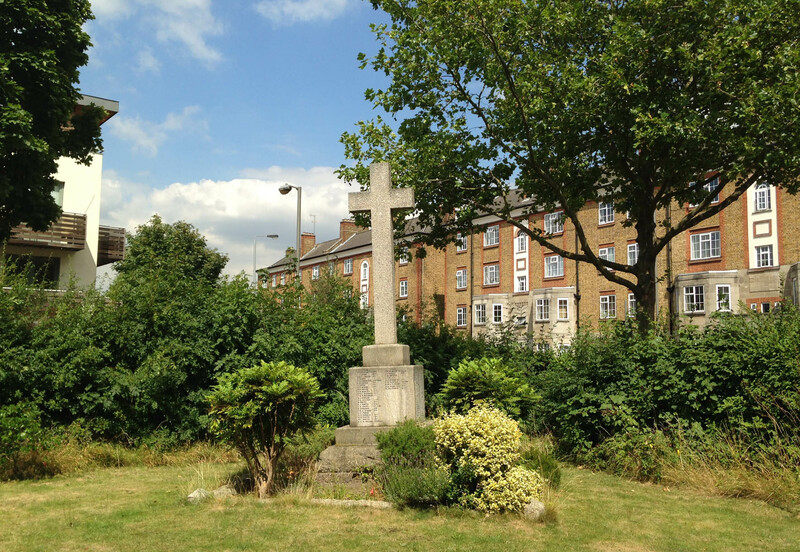 It nestles beneath a huge granite cross in a corner of the church garden, behind a high hedge off busy Merton Road. 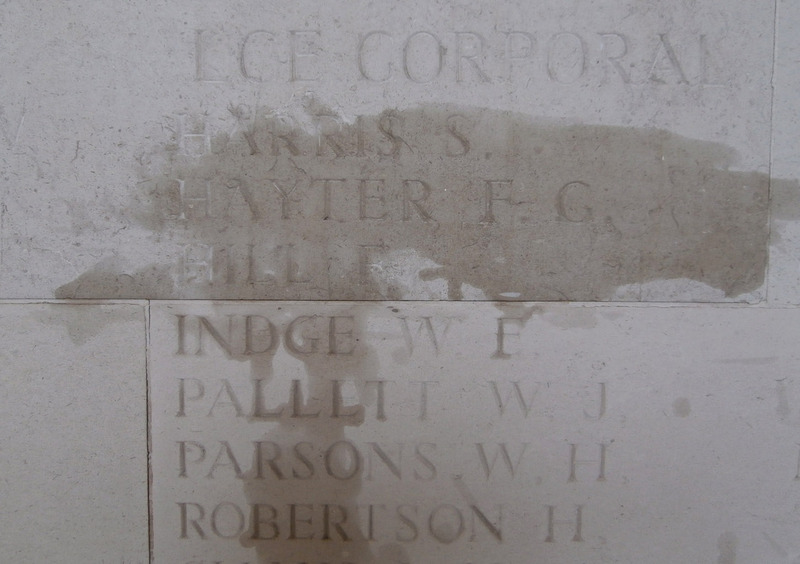 Peter alerted us to the presence of two Hayters on the memorial stone. No need to throw any water over this one, the names are clear as crystal. Last week I spent some time visiting the town of Enniskillen where I once went to school. Thirty years ago, on my way home to the bus station, I would have passed an area which had recently been developed and was now home to a fancy new library and some government offices. It had not long before been a clutter of small terraced houses, workshops and grocery stores, known to older people as ‘The Dardanelles’. The name meant nothing to me then but knowing what I know now, it had a special meaning as I stood in the car-park that now dominates the area and tried to imagine what it must have been like one hundred years ago. Five streets, now submerged by concrete and tarmac had sent hundreds of local men to Gallipoli and at least 45 of them from this small area never returned. The effect on a tiny close-knit community must have been catastrophic. There are 581 names on the Fermanagh War Memorial in Enniskillen and 55 of them died in the fighting at Gallipoli. Most of them perished a century ago this month on 21st August 1915, one disastrous day at a place called Scimitar Hill. It was here that the 1st Battalion of the Royal Inniskilling Fusiliers went into battle with 777 officers and men and by the end of the day only 234 of them were still standing. 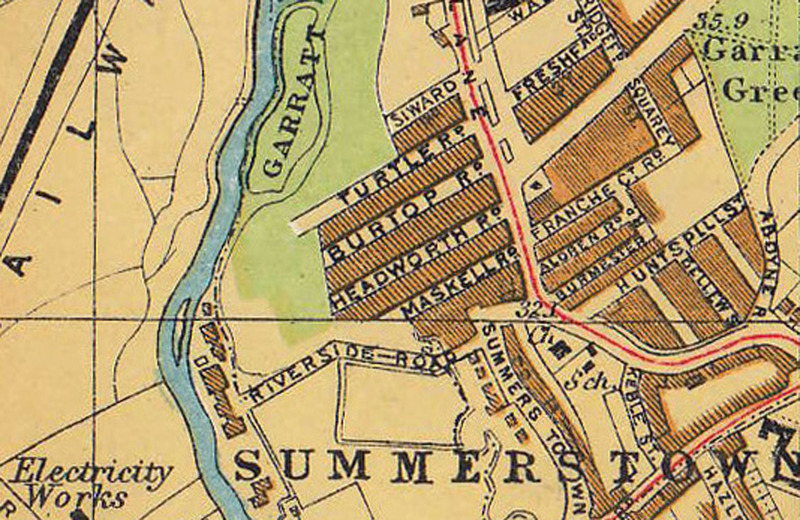 In Summerstown there is a similar story, a small enclave of streets beneath the Burtop Road estate that have now disapppeared off the map. From these small terraced houses, 26 of the Summerstown182 are accounted for. The crucial difference from Enniskillen is that they were not all fighting in the same regiment and being killed in the same battle. Nonetheless the consequences would have been just as shattering. Headworth Road, Burtop Road and Turtle Road have indeed all gone but one of the roads is still there, though bearing no resemblance to how it looked in 1914, or indeed 1968. 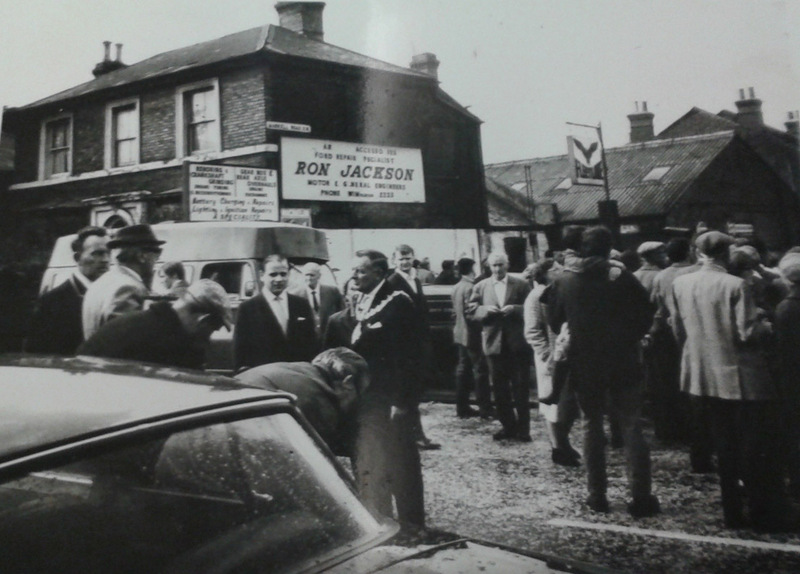 Bordered on one side by the back of an electrical showroom and some industrial units, the other by the estate, Maskell Road was once home to ten of the Summerstown182 and quite a number of other families passed through it. Standing outside an actual house where one of the Summerstown182 once lived, its easy to imagine them looking out of the window or stepping out of the front door. Its more difficult when the house has gone and you are forced to contemplate the back wall of a tile manufacturer’s warehouse. One woman with family connections on Maskell Road searched for a particular drain cover which marked the position of where her Mother’s home once stood. The house at No48 is long gone and here once lived the family of Leonard William Phipps. Over half a century later the electoral roll indicated that his younger brother Albert was still there at the same address. 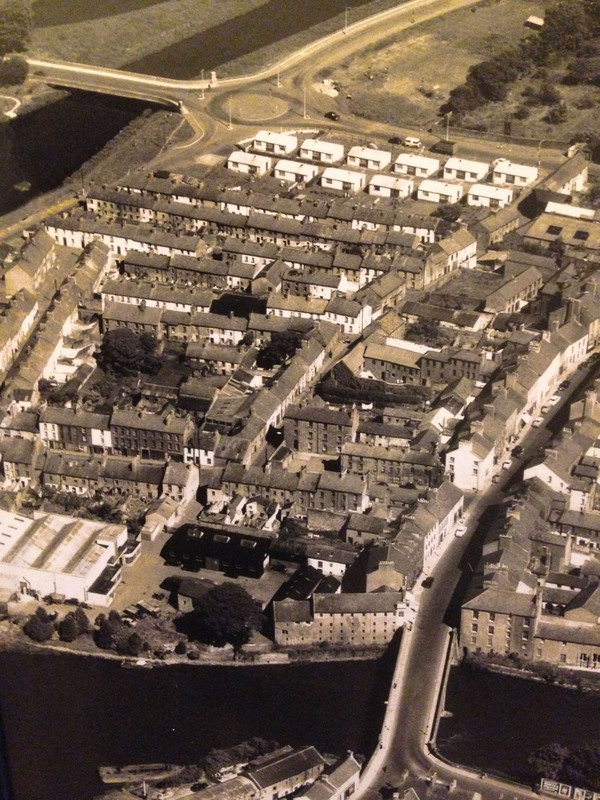 The redevelopment of this area preceeded Ennisklillen by about five years and was forced on the council by disastrous flooding in 1968. At the heart of the Wandle flood plain, it was always in the front line if the river couldn’t handle heavy rainfall. 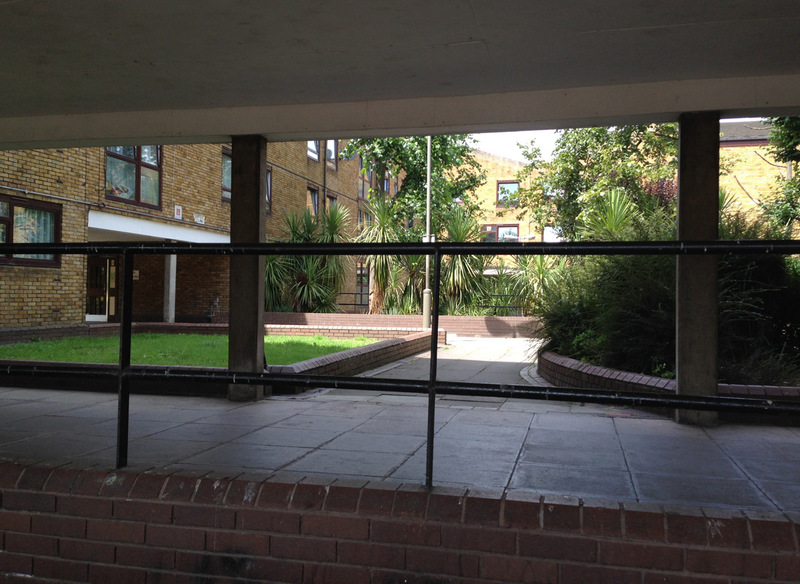 Now the Burtop Road Estate spans the area rather majestically with an exotic raised concrete stilt build, just in case the high waters should ever return. The palms in the inner courtyard add to the eastern flavour, close your eyes and with a bit of imagination you could be in Bali or Phuket. 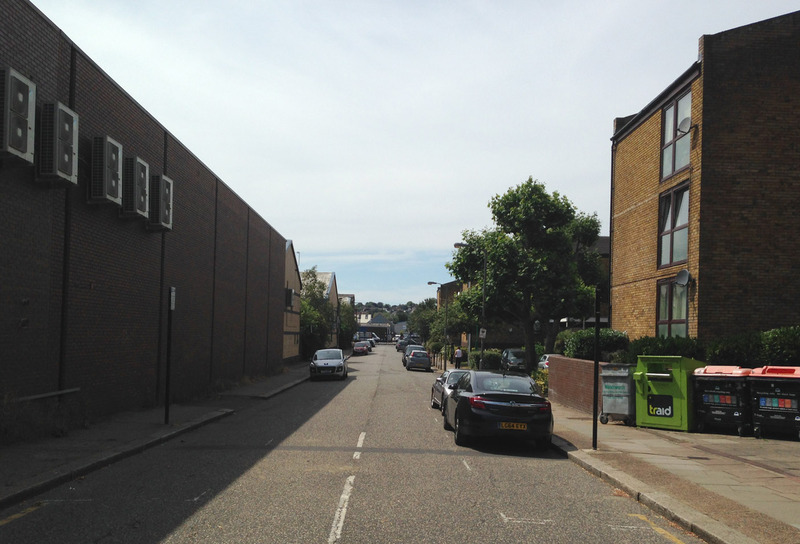 But back in 1911 Maskell Road was a normal terraced street and the only sniff of the far east was when someone like Alf Chipperfield at No2 emigrated and his ship to Australia might have called in at Singapore or Malaya. This western end of the road butted up to the massive Hugh Stevenson cardboard box factory and you can catch glimpses of it in the Pathe footage of the works taken in 1937. The Phipps family would have had great views of its distinctive tall chimney and water tower. At the other end was Ron Jackson’s garage and motorworks. You might have expected one of the Phipps to have worked at the box factory and they very likely did at some stage, but in 1911, that other great Summerstown employer, the laundry seemed to hold sway at No28. Leonard William Phipps senior, originally from Teddington, had married Sophie Peacock in St Anne’s Church, Wandsworth in 1897. It appears that they had five children of whom Leonard, born the following year was the second oldest. In the 1911 census he was 12 and younger brothers, Albert was 5 and George 3. Leonard senior was a building labourer and Sophie worked in the laundry. When he joined the army five years later Leonard worked for one too. His service record doesn’t tell us very much. Leonard joined the 10th Battalion of the East Surrey Regiment at Kingston on 13th May 1916, just after his eighteenth birthday. He was taller than average at just over five foot nine and he had a tattoo on his left forearm. Leonard’s nephew John who lives in Littlehampton found a great photograph of him doing what would appear to be some kind of military training. The boys are definitely warming up for front line action and those sandbags look like they are ready for a bit of bayonet practice. It could even be the notorious ‘Bull Ring’ at Etaples as was famously depicted in ‘The Monocled Mutineer.’ We can only hope that this training occupied Leonard long enough to avoid him being plunged immediately into the fighting on the Somme that summer. He is in the third row from the left, third from the front. 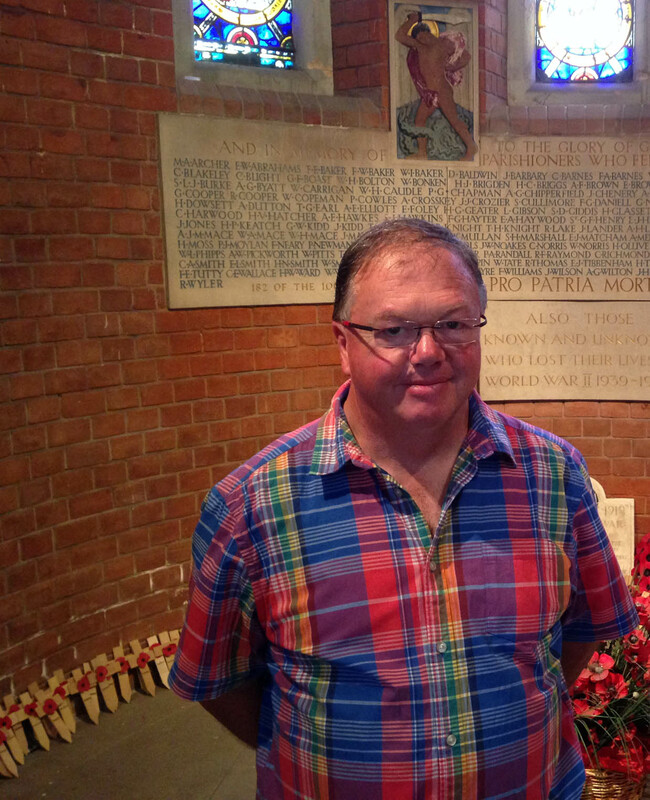 It was great to welcome John Phipps and his wife on a Summerstown182 Walk this summer and he bears more than a passing resemblance to his Uncle. The 10th East Surrey were raised in Dover in October 1914. Shortly after Leonard joined they became known as the 30th Training Reserve Battalion. On 1st February 1917 he was promoted to Lance Corporal and in December of that year transferred to the 5th Middlesex Regiment at Gillingham and went to France in January 1918. On 12th February he was posted to the 21st Middlesex Regiment now part of the 119th Brigade. His timing was bad as the following month the regiment caught up in the huge German ‘Spring Offensive’advance at St Quentin. The date of Leonard’s death on 23rd March is similar to so many of the Summerstown182 who died in a ferocious onslaught which saw the German army advance 40 miles. The attack was launched on 21st March and total casualties were enormous, more than on the first day of the Somme. On that day, British and Commonwealth forces lost some 38,000 men of whom 20,000 were made prisoner. 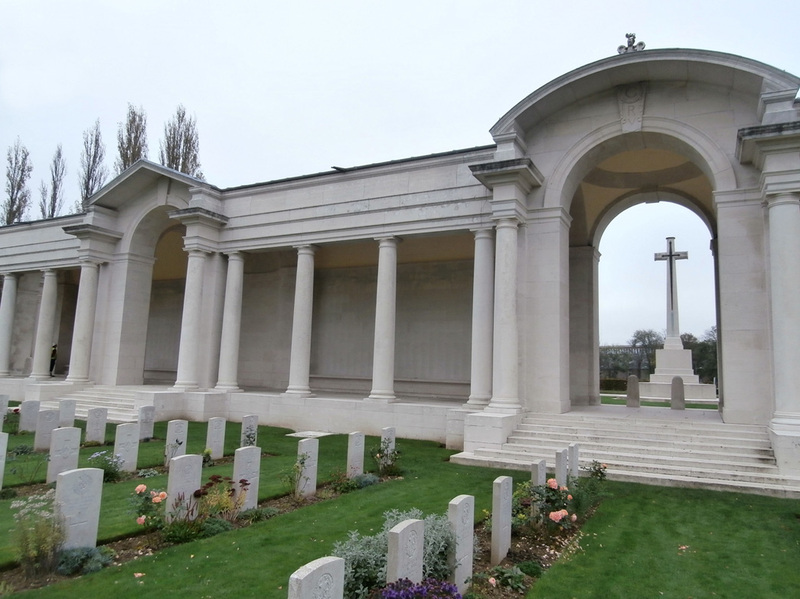 An usually high proportion of those who died have no known grave and are remembered on the Arras and Pozieres Memorials. 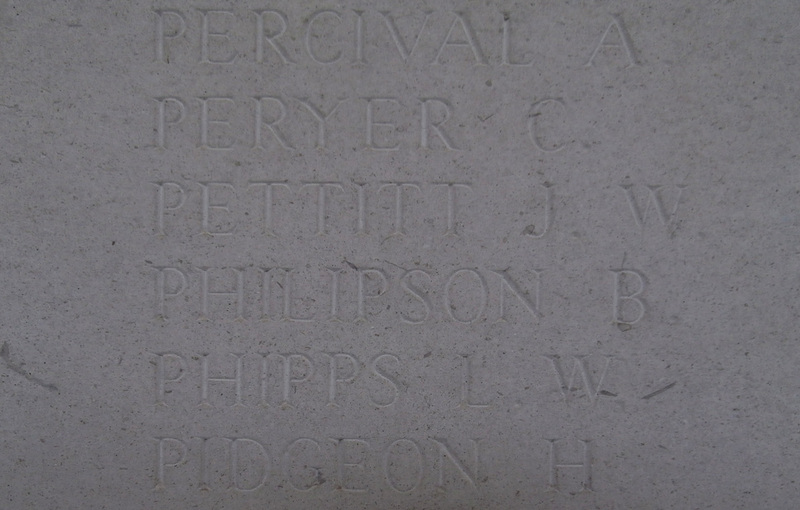 Ten of the Summerstown182 are commemorated on the Arras Memorial and when we visited there in October, we found and photographed L W Phipps’ name. John has also been here. His death is also noted in the St Mary’s parish magazine in June. ‘We regret that William Leonard Phipps, 21st Middlesex Regiment was killed in action on March 23rd’. In the same paragraph, the loss of George Colwell, Henry Moss, Horace Woodley, George Cooper, Frank Churcher Brown and Albert Hawkes is also noted. The last two were also residents of Maskell Road at Numbers 11 and 28 respectively.